I. There are two types of grinding wheels (5A & 12A) on wheel head of PP-60N. The end & chisel edge can be ground without changing the grinding wheel. II. 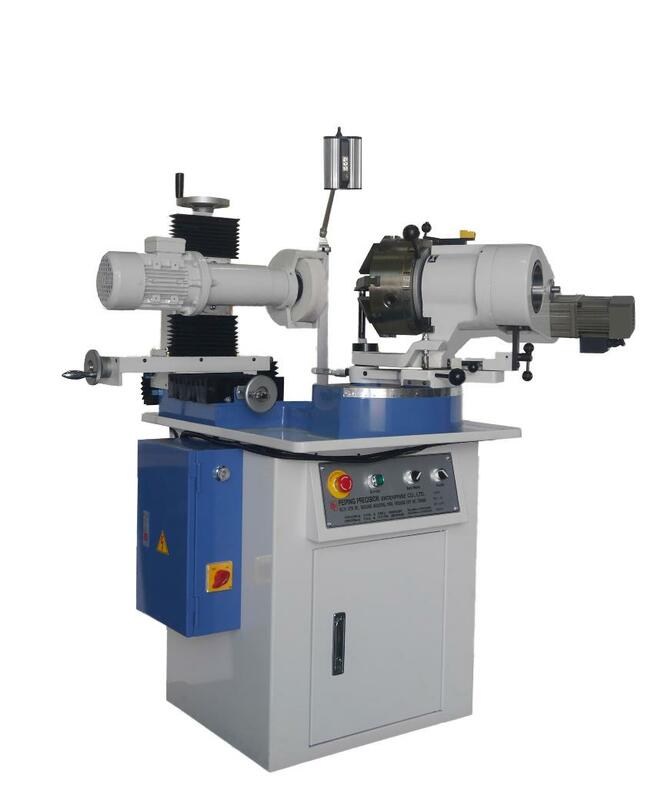 For dressing grinding wheel, set the diamond dresser on the chuck and adjust the wheel head angle. The wheel motor can be adjusted 165mm vertically and rotate 180°. It can increase the function of machinery. III. Adopts the precision awl type chuck. It can clip stably. At the same time, it can grind the cutting edge and web thickness of drills in one set-up. The both sides of drill angle and the edge length are equal. It could keep the accuracy of the center of drill without offset. III. Easy operation, grind fast and precisely.